A massive fireball has briefly brightened up the dark skies over the north of Russia, as well as in Finland’s Lapland. The flash was captured on several dashcams and live-stream videos. 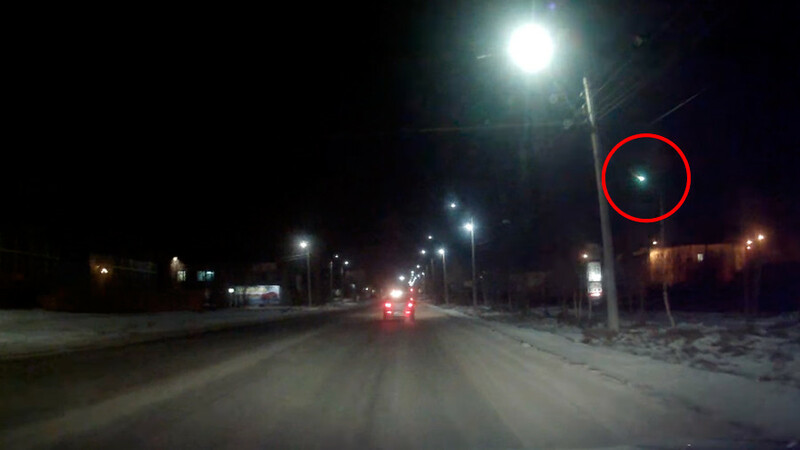 The fiery ball was spotted flashing through the night sky late Thursday in the northwest Russian region of Murmansk. The glowing object was recorded streaking far to the right by a dashboard camera. The celestial sight coincides with the peak of the annual Leonid meteor shower. “The thing is that most of the Leonid meteor shower, one of the most powerful storms, comes on November 17-18, it has a lot of bright objects,” head of the regional astronomy club ‘Orion,’ Viktor Troshenkov, told Interfax. The bolide was also visible in neighboring Finland, where sky-watchers could feel a shockwave, said an associate professor at the Urals Federal University, Nikolay Kruglikov. The Finnish Yle news agency reported that witnesses within a few hundred kilometers from the flare heard loud bangs and noises. Live-stream footage from Lapland showed the night sky beam with green northern lights, when suddenly the night was illuminated as the fireball swiftly descended.